During the last few weeks, I’ve noticed peaks and troughs with the diverse industries I follow. 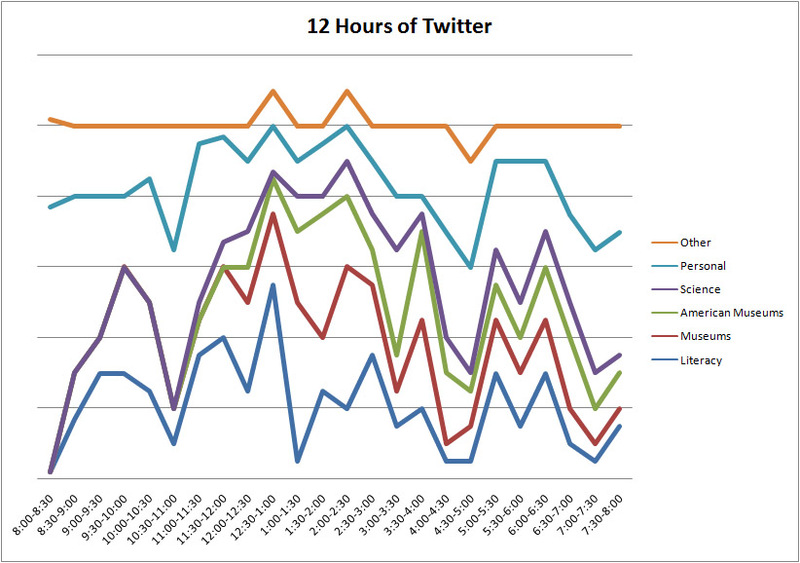 I contemplated how I could capture this data and felt the best way was to track Twitter for 12 hours over one day. The key industries I follow could be broken into the following main sectors. Other sectors are mentioned through the report. Museums: Including Art Galleries, Heritage Venues, people working within the industries. Personal tweets: Tweets, while not exclusive of the above personnel, were clearly on a non-professional basis. There were some obvious times to tweet and not tweet and it seems different industries have slotted themselves into times that work best for them. I seen minimal clashes of tweets vying for audiences attention. 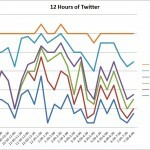 This was interesting as it pinpoints times throughout the day where tweeting is more effective for certain industries. This data is raw and obviously not scientific. The notes were taken as and when I saw trends shifting and are only estimates. I also tried to take notes along the way to help gauge where trends where leading. Please see them here.